Every chart is unique and hand-made. Each and every piece is unique and entirely made by hand. It has taken several years to perfect the process and the product. 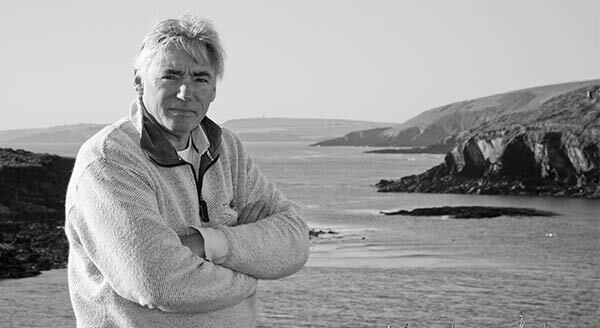 The artist Bobby Nash has developed the product range to include Surround lighting, Story boards and even Chart tables for domestic and nautical applications on super yachts. A nautical chart is attractive because of its presentation, the land is shaped by the sea and it is this shape that is instantly recognisable to all who have an interest for whatever reason, it could be that we live there, we sail on the ocean close by or we simply have fond memories. Whatever the reason, there is a close bond. The nautical chart displays information that is interesting, beautifully presented, uncluttered and is the culmination of years of surveying of both the land and the sea bed which remains mysterious. The relief chart highlights the depth contours and shows the rugged shape of the land that has been carved by the oceans since time began. Unlike conventional art, the relief chart is relevant and art built into a frame that will be admired today and for centuries to come! Where? As much info as possible about the location – use Google Earth and send it to us as a mail. Why this area? What is the significance – Home? , Sailing ground? Who is the recipient and why? This helps us to select the right size and detail. If you would like a Latitude chart custom-made for you, please contact us below to make an initial enquiry. As a gift, the 3D nautical chart is in a world of its own. It is handmade to order, for anywhere in the world and is therefore a safe present. With conventional commissioned art you stand a 50% chance of liking the end result, but because the basic building block is a chart then you know that you are in safe hands and you or someone special will like the end result. It is said that over 60% of the world´s population live within fifty kilometers of the sea so that means that their home is on a chart. Gift ideas include special occasions like weddings, anniversaries, birthdays, retirement, groom gift, corporate or simply a gift to yourself. If the recipient is on or associated with a chart then you are in safe territory and in good hands. Share the cost with friends, they will thank you for it. Every bit of coastline in the world has an associated nautical chart. Latitude Kinsale has access to all of this, whether as a current day modern chart or as an archive Black & White chart. Latitude Kinsale work closely with the UKHO (United Kingdom Hydrographic Office) who are noted for their vast collection of charts, both modern and old from all around the globe. We can also access charts from any of the various organisations around the globe … any chart anywhere in the world! The key to Latitude Kinsale’s success. Latitude Kinsale have developed the 3D Nautical chart over time to create wonderful products like the Storyboard Chart, cool Surround lighting, bespoke Chart Tables and silhouette charts using the sea views from archive maps. Being creative is the key to Latitude Kinsale’s success. You know that our work is very high quality and that the end result is truly a work of art that will last a lifetime and more. Our clients will stand testimony to our work, our commitment to quality and our assurance of providing you with a unique solution no matter where you live in the world. We have clients in Australia, New Zealand, throughout Europe, Russia, Hong Kong, Singapore, USA, Africa, India … see our galleries. Commissions are supplied framed and ready to hang or be presented. We offer a full turnkey service with packaging and will ship to any location around the globe. Any Chart, anywhere in the World!